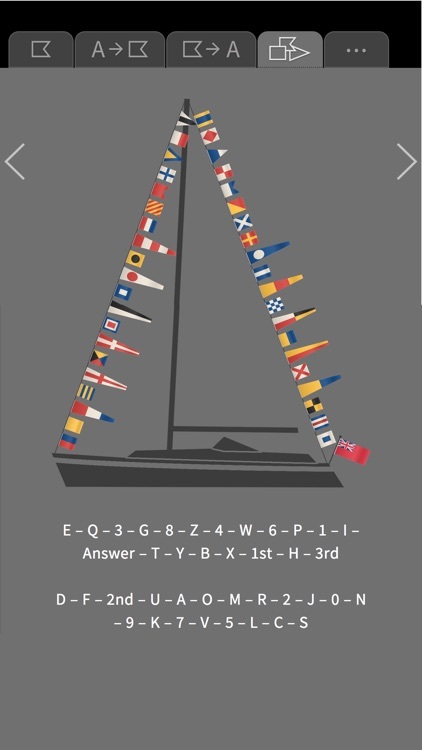 • What does this flag mean? 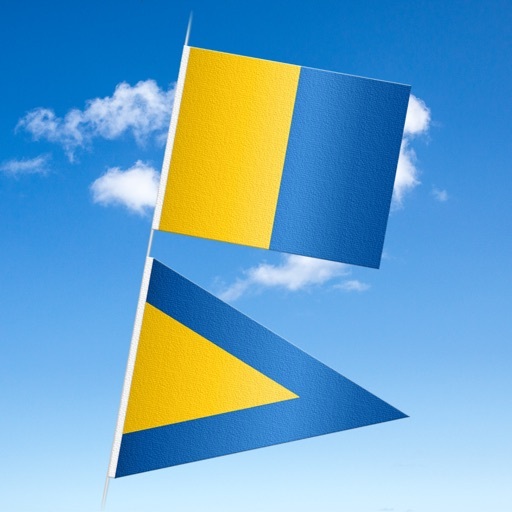 The appealing app "SignalFlags Tool" tells you the meaning of both a stand-alone flag in different maritime situations as well as the meaning of the flag in combination with other flags. 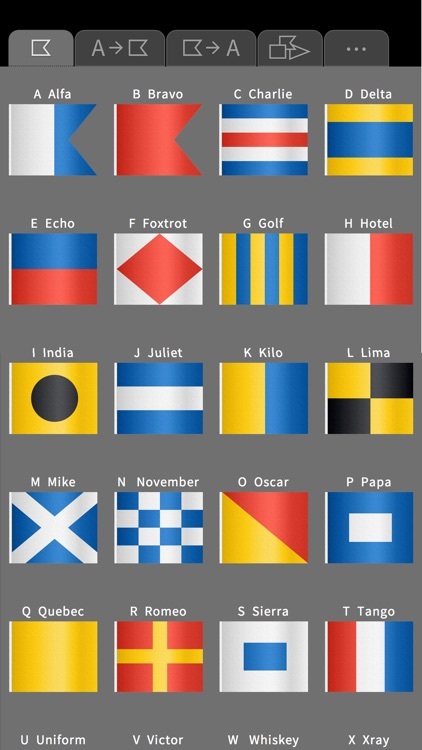 On the detail screen for each flag "SignalFlags Tool" also shows the phonetic name including the international pronunciation as well as the associated International Morse Code. By tapping on the Morse Code you can show the code using light signals. For all letters which are used as a sound signal you can also play the sound signal. 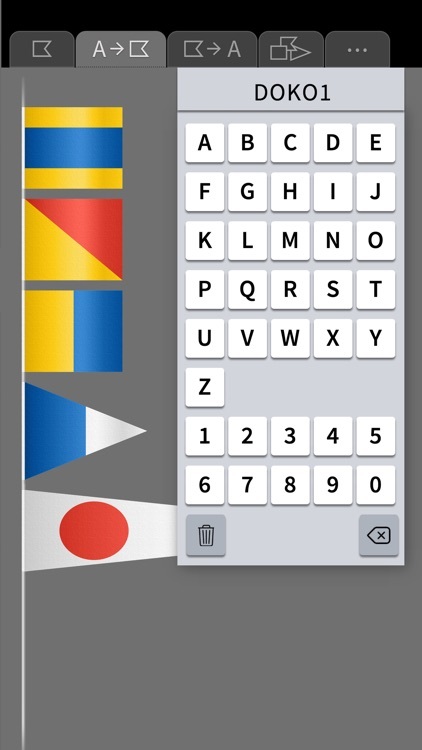 • You want to write using flags? 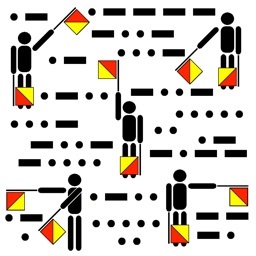 • You want to decode a text written with flags? 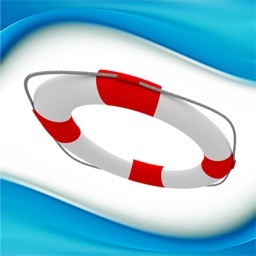 With "SignalFlags Tool" this is quite simple. 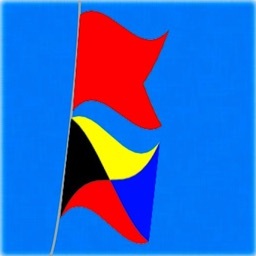 And – unlike most other tools – when writing "SignalFlags Tool" uses the substitute flags in accordance with international rules, rather than using a flag already used one more time. 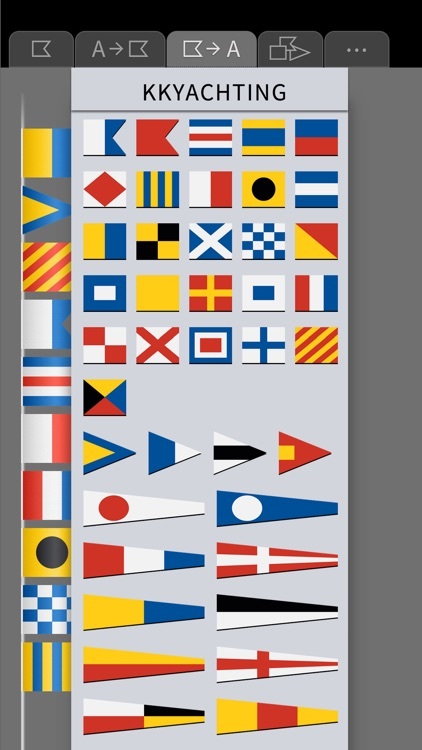 • How are the flags are arranged for a dressing overall? The arragement of the flags for a dressing overall is different in the countries. "SignalFlags Tool" shows you the arragements used in Germany, the UK and the US. 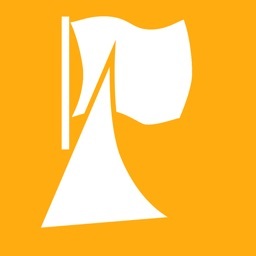 "SignalFlags Tool" provides a responsive user interface, so that the display of ​​your device is always used optimally – whether on a small or a large iPhone screen or on the iPad Pro. All flags are shown with high resolution details and textures. 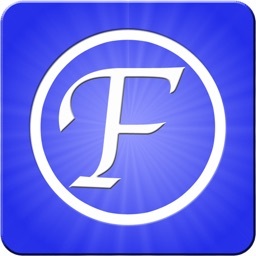 An animated help function explains the functions of the app. 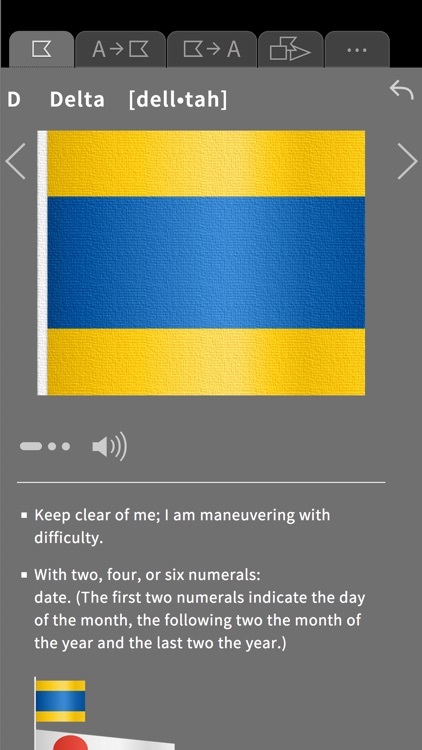 "SignalFlags Tool" includes all texts in English and German. If you don't have a set German as user language for your device, all information will be displayed automatically in English. If you like you can switch to German language manually.